Inuit leaders are concerned over federal plans to dump crude oil into northern waters next to a proposed marine conservation area so scientists can test new ways of cleaning up Arctic oil spills. “We don’t want this project,” said John Amagoalik, manager of lands for the Qikiqtani Inuit Association. The Department of Fisheries and Oceans has asked a northern regulatory board to approve a plan to dump up to 1,200 litres of oil into Lancaster Sound on the Northwest Passage. The request comes as a time when the world is watching the continuing oil-spill debacle in the Gulf of Mexico and Canada debates the future of its own offshore drilling regulations. Amagoalik said the proposal is badly timed and throws into question the sincerity of federal efforts to protect Lancaster Sound. “They’re proposing to do it the latter part of August and early September,” he said. “There will be thousands, perhaps hundreds of thousands, of beluga migrating through those waters at that time. Ken Lee of the Bedford Institute of Oceanography says in his application to the Nunavut Impact Review Board that increased accessibility in the Arctic is also increasing the risk of oil spills. He says current clean-up techniques are of limited use in ice-choked water and new methods have to be tested. “Testing in actual environmental conditions, not just in the lab or in southern rivers, is needed so the new techniques can be used in the Arctic,” says Lee’s application. His team wants to test a new way to break up oil slicks into tiny droplets that would disperse more widely and decompose more quickly. Bedford researchers believe they have developed a way to do that by using fine clay particles instead of chemicals. The tests would involve using a Coast Guard vessel to release 12 oil spills, each up to 100 litres. All slicks would be monitored by helicopter and oil would be cleaned up — one way or another. “The oil released during the study will either be effectively dispersed into the environment or gathered up to ensure no impacts on the environment,” the application promises. 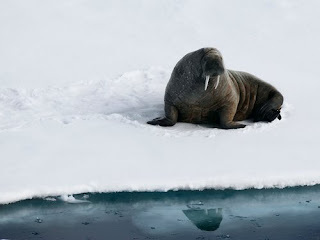 But Amagoalik worries that the tests are just one more risk in an area with abundant populations of bowhead whales, narwhal, beluga, walrus, polar bears and uncountable numbers of birds. 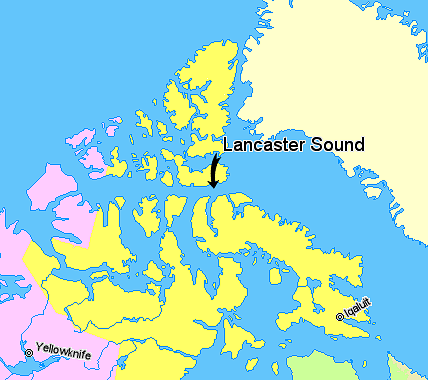 He points out that Lancaster Sound could already see seismic testing for oil and gas and a major military exercise this summer. As well, the waters of Baffin Bay, just to the east of the sound, are full of energy companies lining up to drill exploration wells. He wonders if federal actions aren’t speaking louder than federal words. Negotiations with Parks Canada on the specifics of the conservation area have just begun, Amagoalik said. The Nunavut Impact Review Board will accept comments on the proposal until May 28 and plans to rule on it by the middle of June. This entry was posted in Arctic and tagged Science. Bookmark the permalink.